Broadcasting is entering into another era of exponential technological developments. Augmented reality, artificial intelligence, automatic tracking systems and robotics are taking the industry by storm. This year’s National Association of Broadcasters’ (NAB) convention at the Las Vegas Convention Center continued last year’s theme of the M.E.T. effect: the convergence of media, entertainment and technology. 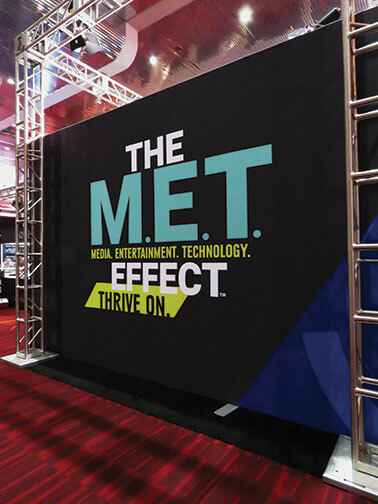 According to Gordon Smith, NAB president and CEO, the trend is more evident now than ever and will only continue to develop in the years to come. One issue that highlighted the M.E.T. effect occurred while the show was going on but wasn’t part of it. That was Facebook’s CEO Mark Zuckerberg testifying in front of Congress after the $80 billion devaluation of the company’s worth, which resulted from the Cambridge Analytica data misuse scandal. Zuckerberg pleaded the case that Facebook wasn’t a media company and shouldn’t be regulated as one. But members of the House and Senate committees hearing his testimony didn’t buy it. In fact, some in Congress and many at NAB thought Facebook was the perfect example of the new breed of companies that combine media, entertainment and technology. Moreover, the Trump administration and the appointment of Ajit Pai as FCC chairman are having a substantial impact on broadcasting. Many of the rules and regulations that, according to industry insiders, stifled broadcast growth (while industry watchdogs said maintained competitive broadcast markets) have been discarded. Eliminated regulations include those that barred ownership of newspapers and broadcast entities in the same market, those that prohibited ownership of multiple major broadcast outlets in the same market and those that barred joint operational agreements deemed detrimental to competitive practices. Broadcasters are pushing to have more regulations eliminated to allow for greater industry consolidation and market penetration. 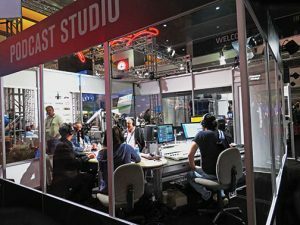 One of the things that NAB does is to provide the opportunity to see, and even play with, very high-end, sophisticated broadcast production equipment that wouldn’t otherwise be available to anyone not directly working with it. Companies set up impressive production control facilities and broadcast studios. Many of them were actually being used to produce content that went out throughout the world from the show. To me, one of the most impressive aspects of the show was the advances in created worlds. Green screen sets have been around for decades in broadcast production, displaying on-scene footage behind news anchors and meteorological data behind weathermen. But green screen video had always been a background element. That changed with the advent of virtual reality (VR). When it was in its infancy, probably sometime in the 1980s, I saw a VR presentation at the Western Cable Show where a stylishly dressed young lady was standing in front of a green screen, looking around. On the oversized screen above her you could see she was going up in a simulated scenic elevator. The city was spread out as a beautiful view behind her. The elevator stopped and she exited into an elegantly furnished penthouse apartment. As she turned, the view seen on the screen changed accordingly. Now this wasn’t quite true virtual reality, but it was pretty close. The audience was amazed. That new technology made it possible to create whole new worlds without having to actually build anything. Virtual reality and simulated sets are now common in television. It’s practically impossible today to tell whether a studio set is real or something generated in a computer. But, until recently, the virtual world and the real world were pretty much separate entities. However, augmented reality (AR) is increasingly merging the two. It’s becoming easier to integrate virtual elements into the real world. 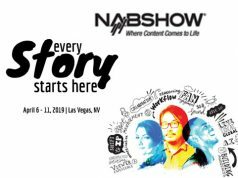 At NAB, Vizrt, a company providing studio production and automation systems, made a very effective presentation on how AR could be used in broadcast production. Rather than being in front of a green screen, the presenter was in front of a giant video wall. Large screens were suspended above the stage area, making it possible for the audience to see what was happening in person and what a television audience might see on the screen. 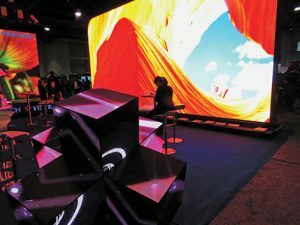 VR, AR and MR converged at NAB. It was much like the initial demo I saw decades ago. However, rather than the presenter being immersed into a virtual set, there were individual AR elements introduced onto the stage. For example, when he started talking about one of America’s new fighter jets, a scaled-down detailed schematic of the jet, with all its components, was displayed on the stage next to him. All the relevant data about the design was on the screen in back. Then the stage floor opened up and a miniature submarine came out of the churning water. Of course, on the actual set, there was nothing there. The presentation went on to detail how AR could be used in character generation, in real time, without the need for animation or complex programming. And how it could be used to draw viewers into sports coverage. On the stage, pictures of soccer players were behind the presenter. On the screen above, the players moved onto the stage. As the old Moody Blues song said, it’s becoming increasingly difficult to tell what is real and what is an illusion. Since elements of virtual reality and actual reality are being combined in the new technology, the process is sometimes referred to as mixed reality (MR). Virtual reality, augmented reality and mixed reality are all grouped into the immersive content category. And that category is set to explode. The market will jump from just over $11 billion in 2017 to well over $200 billion four years later, as major television networks, film studios and production companies establish immersive content divisions and explore opportunities in the field. 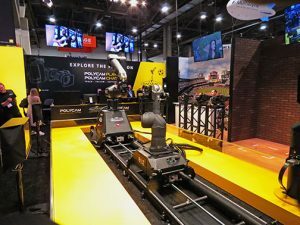 Robotics was another strong element at NAB. These weren’t the little humanoids and electronic companions with their cute smiles and simulated winks that were running around CES. These were industrial strength robots, more precisely robotic arms, used for camera positioning and tracking. In some of these demos, dual robotic arms with sophisticated cameras in their clutches danced choreographed routines with real dancers to demonstrate their tracking capabilities and operational flexibility. Many of these robotic systems and automated tracking devices were specifically targeted at sports broadcasts. MRMC (Mark Roberts Motion Control), a company Nikon acquired in 2016, had impressive equipment on display at the Nikon booth. They included the Polycam Chat and the Polycam Player. Polycam is an IP-based robotic camera system that enables networked cameras to simultaneously track a subject from multiple perspectives with just one control operator. MRMC demoed its Polycam at the Nikon booth. Polycam Chat is an in-studio camera control system that uses artificial intelligence to bring a high level of accuracy to small-scale in-stadium broadcasts, while keeping space requirements and costs down. Using both face detection and limb recognition, it automates camera-tracking operation for up to four presenters in one studio. Polycam Player does somewhat the same thing for on-the-field coverage, but on a larger, more sophisticated scale. Using ChyronHego’s TRACAB player-tracking system, it gives sports organizations the ability to monitor, analyze and strategize players and opponents’ team members while adding camera angles that wouldn’t be possible with manned cameras. It wasn’t all that long ago that television production cameras cost $60,000 and more. Prices for these cameras have dropped considerably. Blackmagic Design showed a low-cost video production camera, the URSA Broadcast, which sells for under $3,500. Intended for field and studio work, the camera is designed around a 2/3-inch sensor and is based on Blackmagic’s URSA Mini Pro 4.6K model. It captures digital data on standard SD cards using open DNx and ProRes formats. 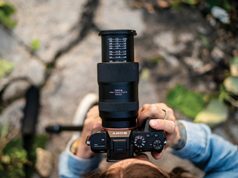 As an option, with an adapter, it accepts EF- and F-mount lenses. Another trend in production is miniaturization. Along with other studio components, broadcast-quality cameras are getting smaller all the time. Germany-based Antelope Camera Systems showed a lineup of micro cameras, including the Antelope Pico. Able to shoot at 350 fps for high-quality extreme slow motion, the camera is also ideal for live broadcasting. Equipped with a 2/3-inch CMOS 2K sensor, the Pico fits into the palm of a hand. It’s intended for broadcasting from vantage points where traditional larger cameras just wouldn’t work. While it’s miniature in size, at $40,000 the price tag isn’t. Moreover, with most DSLRs being able to capture videos as well as still images, more photographers are trying their hand at video. Nikon is tying into that trend with the release of the D850 Filmmakers Kit ($5,499.95). The custom DSLR bundle is specifically designed for video production. 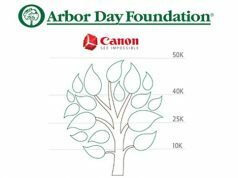 Besides the D850 camera body, which captures 4K ultrahigh-definition video and 8K time-lapse video on its 45.7 megapixel CMOS sensor, the kit includes three very fast AF-S Nikkor lenses. They are the 20mm f/1.8G ED, the 35mm f/1.8G ED and the 85mm f/1.8G. It also bundles an external 4K Atomos Ninja Flame recorder/monitor. Broadcast production generates tremendous amounts of digital data. Traditionally, broadcasters organized and archived their content in-house. That way it was always accessible to them. But increasingly, the push is on to move digital data storage to the cloud. AWS Elemental, for example, was touting its cloud video service that provides not only storage but also video processing, such as automated captioning and translation, and content packaging. The company contends it’s a more cost effective and efficient option for broadcast data storage, organization and distribution. Educational opportunities are among the most important draws of any major trade show. 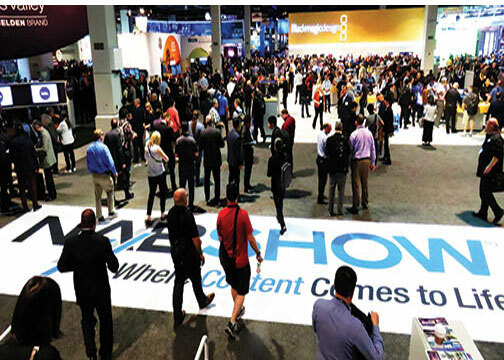 Quite a few companies used NAB as a teaching opportunity to get showgoers more comfortable using their products and services. Adobe for example, had all four exhibit days filled with educational sessions at its large booth. It detailed such techniques as character animation, motion graphics, VR workflows and audio development. All use the company’s Creative Cloud and products such as Photoshop, Premier Pro and After Effects. Of course, there were breakout sessions, panel discussions and educational forums that analyzed trending topics and technologies. Sessions delved into such diverse topics as programming, production workflow, sports coverage, equipment advances and audience development. Panels like “From Podcast to Broadcast” and “Content Strategies for Podcasting” explored opportunities that podcasts presented. While it’s still relatively in its infancy, podcasting is already a $220 million segment of broadcasting, with revenues more than doubling in just the last two years. Within a few years, podcasting is expected to be a billion dollar industry. Podcasts are making it possible for individuals with limited resources and smaller companies that don’t have deep pockets to get into serious content production and distribution. A number of major media players are exploring how they can develop new podcasts to grow their audiences. They are also looking into how to mine existing podcast ideas for new broadcast shows. To highlight the process, podcast and streaming media studios were set up in the main lobby. In addition, there was a separate Podcast Pavilion on the showroom floor. 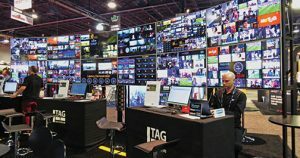 All in all, the 2018 NAB Show was a fascinating look into the future of the overall imaging content spectrum. In terms of both technology and equipment, it was truly inspiring. 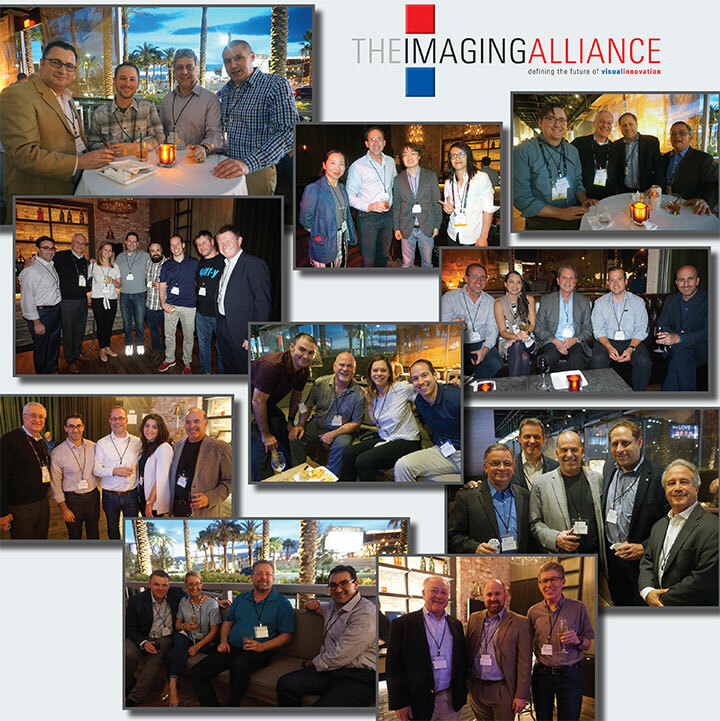 The Imaging Alliance hosted its Imaging Innovation reception at the Sayers Club in the SLS Hotel & Casino in Las Vegas on the evening of April 10, 2018. The event was attended by industry executives who represented many of the companies exhibiting at the NAB show. Also in attendance were photo industry retailers and other members of the Imaging Alliance. The purpose of the event was to bring together established companies within the imaging industry and members of its retail community to foster relationships with new technology companies that make up the new world of imaging.